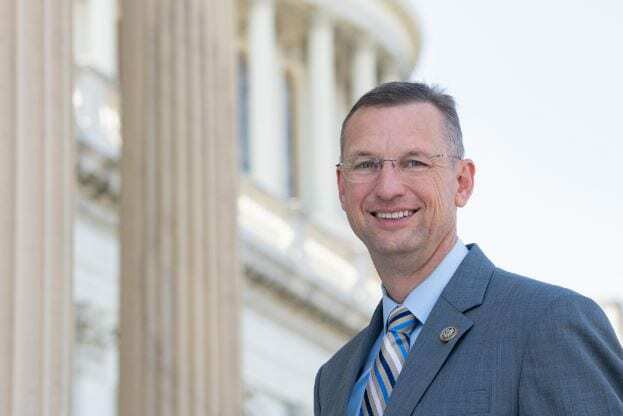 WASHINGTON, D.C. – Congressman Doug Collins reintroduced key legislation last week aimed at lowering the cost of prescription medication and increasing transparency in the drug pricing process. Introduction of this legislation comes after President Trump called on Congress to directly address the rising cost of prescription drugs during his State of the Union address. H.R. 1035, the Prescription Drug Price Transparency Act, requires greater transparency and accountability from Pharmacy Benefit Managers (PBMs). H.R. 1034, the Phair Pricing Act, lowers the cost of prescription medication for patients in the Medicare Part D program. “For too long, we have turned a blind eye as pharmacy middlemen have manipulated drug prices to maximize their profit margin. The Prescription Drug Price Transparency Act will protect patients and pharmacies by increasing transparency over the drug pricing process, providing greater oversight to protect taxpayer dollars, and ensuring patients are able to choose their pharmacy,” said Rep. Collins. As middlemen in the pharmacy industry, PBMs determine which drugs are covered under federal programs including Medicare Part D, Medicare Advantage Part-D, and FEHBP. They maintain Maximum Allowable Cost (MAC) lists, which set the maximum reimbursement rate given to community pharmacies for drugs covered by federal programs. PBMs often take advantage of their role as middlemen by delaying price updates to maximize their profit margin while pharmacies are forced to sell prescriptions at a loss. Provides greater oversight to prevent waste, fraud, and abuse of taxpayer funds in Medicare Part D, Medicare Advantage Part-D, and FEHBP. There is a clear gap between reality and the claims that pharmacy benefit managers (PBMs) and prescription drug plan (PDP) sponsors negotiate with pharmacies on behalf of patients. According to the Centers for Medicare and Medicaid Services (CMS), PBMs and PDP sponsors often use these pharmacy rebates and price concessions to pad their profits instead of lowering the price patients pay for medications, which is the stated purpose of the rebates and price concessions. Requires all price concessions between a pharmacy and PBM be included at the point of sale to decrease patient’s costs. Realigns market incentives to ensure patients have access to and receive the best possible care. Directs the Secretary of Health and Human Services to establish a working group of stakeholders to create quality measures based on a pharmacy’s practice. Ensures PBMs disclose all fees, price concessions, and programs to CMS. Background: Rep. Collins introduced both the Prescription Drug Price Transparency Act and the Phair Pricing Act in the 115th Congress.